Virginia Lt. Gov. 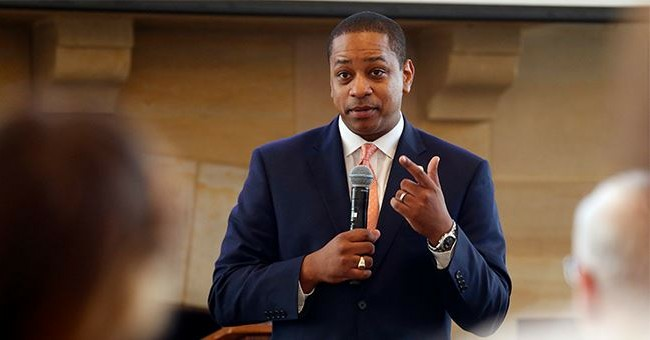 Justin Fairfax (D) slammed the Washington Post on Monday after the news outlet published sexual assault allegations against him that it said it was unable to corroborate. Fairfax, who earlier on Monday denied the allegations, accused the Post of "smearing" him after it published details of its reporting on the claim that contradicted his assertion that the news outlet found "significant red flags" with the accuser's story. “The Washington Post, acknowledging that it had no corroboration, just smeared an elected official," Farifax's office said in a statement. The allegation that Fairfax sexually assaulted a woman in a hotel room during the 2004 Democratic National Convention stunned Democratic lawmakers, several of whom declined to comment Monday. A request for comment to the Senate Democratic Caucus went unreturned. The VA GOP looked like they were on life support, but this collapse by Virginia Democrats could possibly yield some dividends for the upcoming legislative elections. It’s an off year, and the top of the ticket is now marred in controversy. The anti-racist candidate turned out to engage in racist antics regarding blackface. I could see Democrats being depressed, but the obvious caveat is that the next election is months away. A lot can happen. Still, with Northam digging in, he’s gumming up the works for his party, while allegedly knifing those who he thinks could take his spot. In one weekend, the Virginia Democratic Party ate itself. And unless Northam caves, I suspect this circus will continue a little while longer.